In an elegant cafe in Italy’s fashion capital, well-heeled customers can tuck into curated dishes of Saffron risotto, spaghetti al pomodoro and veal Milanese. 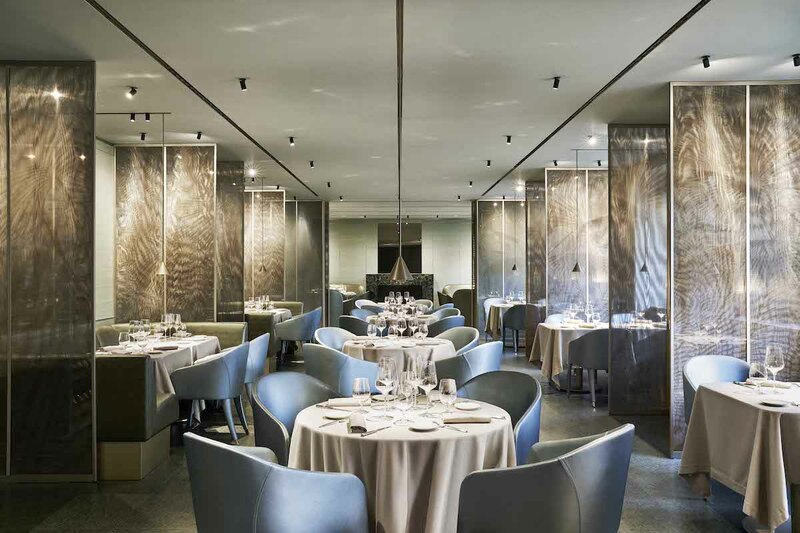 But this space isn’t one of Milan’s latest dining hotspots; this is Giorgio Armani’s revamped cafe in Milan. Located in Milan’s premier shopping street Via Croce Rossa, the Emporio Armani Caffè & Ristorante sets the benchmark for Milanese style while also celebrating the bond between the visionary fashion designer and the city where his namesake brand was founded back in 1975. Opened since 2000, one could postulate that the Italian luxury fashion label was a pioneer in what has now become a booming trend of luxury retailers enhancing their stores with dining experiences, which in turn provides customers with more reasons to familiarise themselves with the brand’s DNA. Successful examples of this include Thomas’s at Burberry Regent Street in London and the Gucci Cafe in Shanghai. 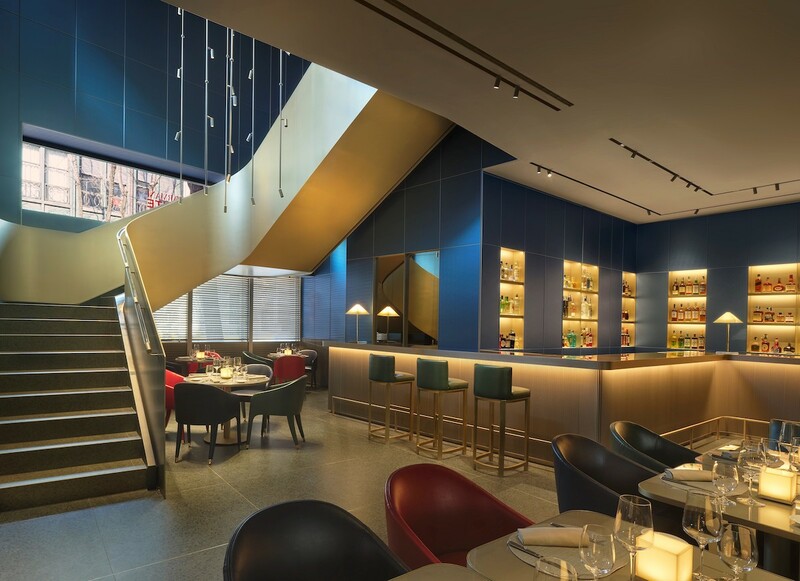 Separated into two floors, the newly revamped space presents a relaxed yet refined atmosphere ideal for indulging in brunch, lunch and after-dinner hours. At the ground level, one can discover fresh pastries baked in house and various other delicious delights from the premium Armani/Dolci collection made in collaboration with artisanal Turin based chocolatier Guido Gobino. Adjacent to this is the cafe, a dedicated space that serves a varied menu as well as light lunch options which can also be accessed via a new Giardini entrance. Depending on the time of day, the menu boasts a pleasant mix of modern and light meals as well as a personal selection of the founder’s favourite classic Mediterranean dishes. Located on the upper floor is the restaurant which serves a gourmet menu using typical ingredients and features of Northern Italian cuisine. Accessible via a winding staircase in regal shades of dark green and gold, diners will be able to see what goes on behind the kitchen visible through frosted glass embellished with a subtle gradient effect. Large windows overlooking into the bustling square outside bask the space with plenty of natural light, allowing diners to appreciate the restaurant’s minute design details such as the palm tree motif featured on the glass partitions, a significant pattern that can also be found in the premium Armani/Casa collection. Open for lunch and dinner, highlights worth noting include the luxurious champagne bar reception area at the entrance; while a small private room located towards the back of the restaurant offers an intimate and cosy atmosphere complete with a grand dark marble fireplace which serves as the perfect setting for living la dolce vita. The newly revamped space is open from 8am to 9pm, Monday to Sunday. The cafe that is located on the ground floor offers freshly made pastries and other delicacies from Armani/Dolci by Guido Gobino; while the first floor houses the restaurant complete with a new ‘champagne bar’ located at the entrance.